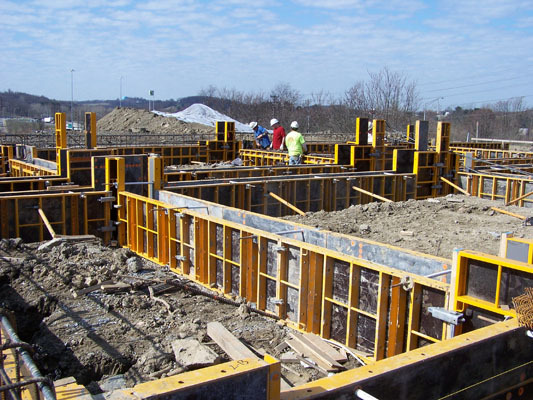 Concrete Foundations and Flat Work | American Concrete Institute standards. At W.A. Hoy Construction, Inc., our experienced work crews deliver exceptional results across a wide range of commercial building foundations. From setting forms and steel reinforcement to using the highest quality cement, we meet or exceed the standards of the American Concrete Institute. Visit our Projects Gallery for examples of the challenging scope of projects handled every day by W.A. 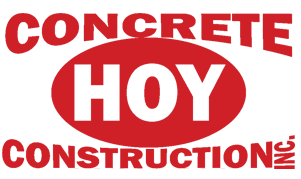 Hoy Construction, Inc., then complete our quote form. We look forward to working with you. For large scale flatwork delivered to the highest level of precision using Somero® laser screed technology, call on the concrete experts at W.A. Hoy Construction, Inc. Choose from various finishes, colors, and designs. All projects are completed with a focus on safety and quality by our professional workforce. Call us today at 724-325-1217.